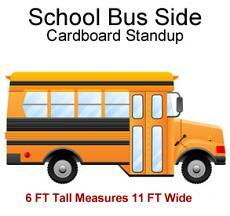 School Bus 2 Back Cardboard Cutout Standup Prop - Dino Rentos Studios, INC. 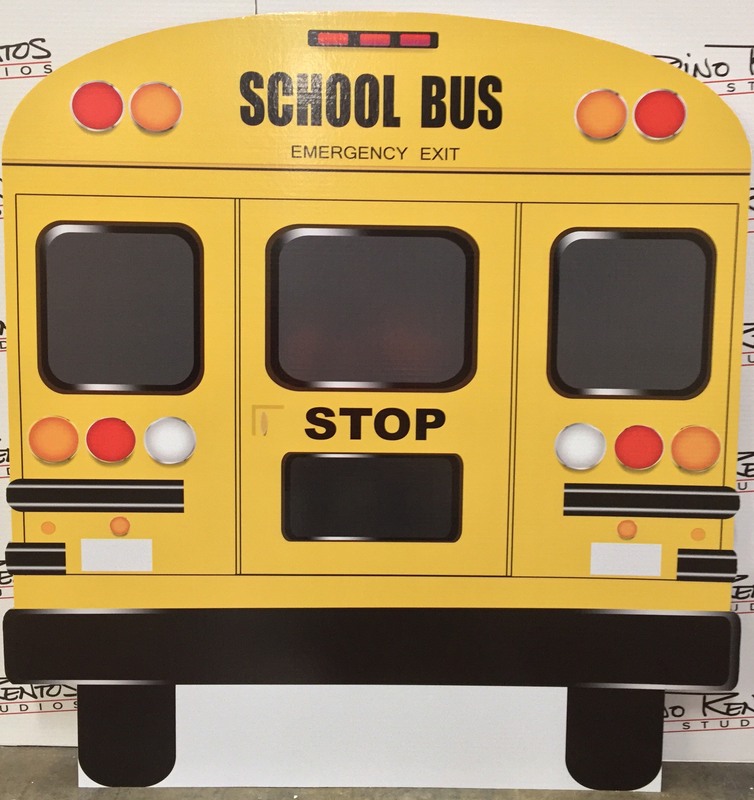 This School Bus 2 Back Cardboard Cutout Standup Prop is great for any Back to School or transportation themed display or production! 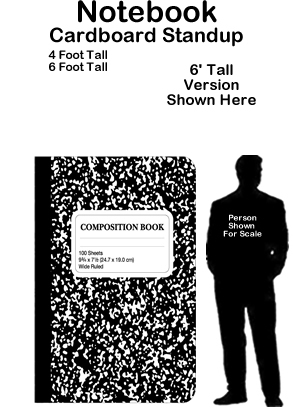 4’ tall measures 46" wide. 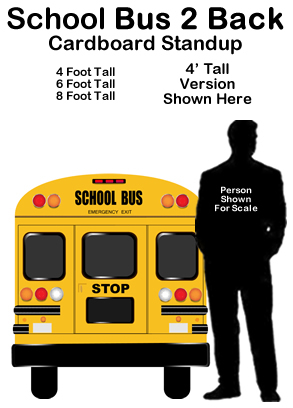 6’ tall measures 70" wide. 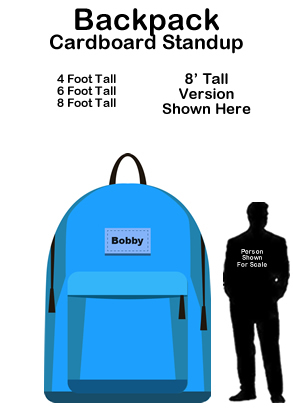 8’ tall measures 85" wide.